﻿ Amora Beach Resort, Phuket | FROM $56 - SAVE ON AGODA! 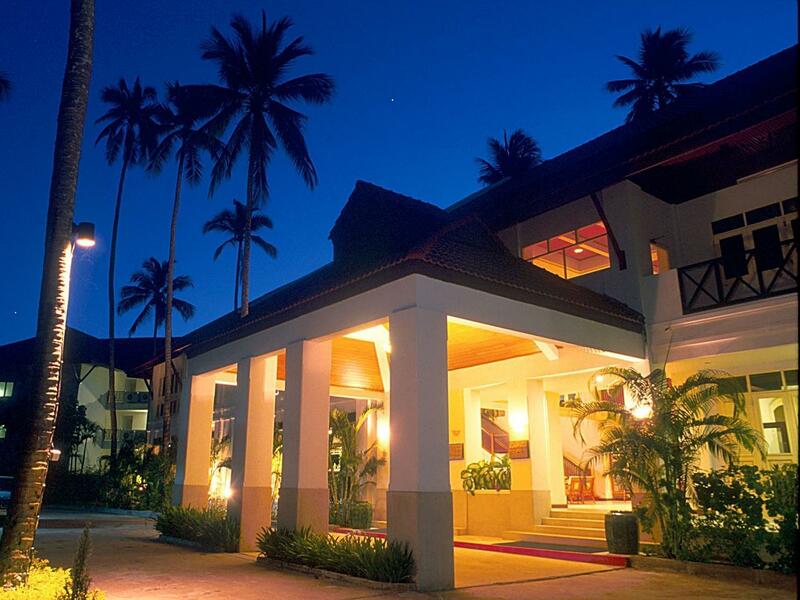 "Value for money an excellent hotel, beautifully situated clo..."
Have a question for Amora Beach Resort? "Bang Tao is an excellent beach but is becoming busy in high season." "Located right on the beach with beautiful greens all around the property." "The seafood restaurants on the beach were convenient." "Groups will enjoy the stay and can travel to other parts of..."
Visit the Amora Beach Resort and take in all that Phuket has to offer. Rated 4 stars, the resort is a fantastic choice for your next vacation. It offers family rooms, so your family is provided ample space to sit together. Also equipped with a kids swimming pool, it caters to families with young children. It is near Bang Tao Beach, Canal Village Shopping Centre, Masjid Mukaram Bangtao, Milan Tailor Ltd, and Wat Anamai Kasem. The Amora Beach Resort has pool and garden views available, so you are bound to be peering out at lovely scenery. 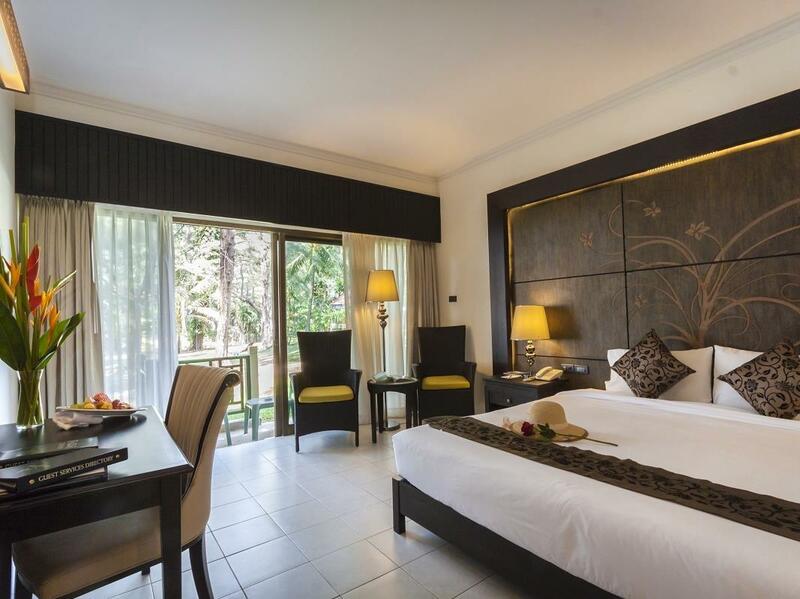 From a concierge to daily housekeeping, it has a range of convenient services, ensuring that you get the most out of your visit to Bang Thao. With Thai and Asian restaurants nearby, you can experience all the delicious flavors of international cuisines. The Amora Beach Resort offers a bar, a coffee shop, restaurants on-site, BBQ facilities, and a poolside bar, so there is a range of dining and snacking options. 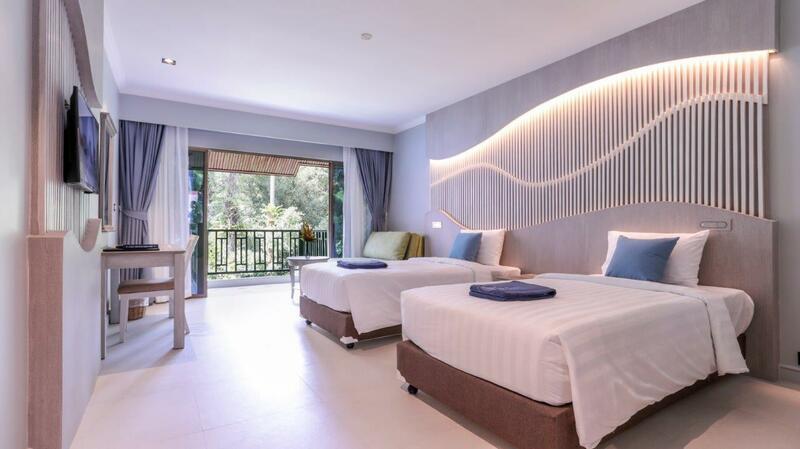 The resort provides free Wi-Fi in all rooms, as well as Wi-Fi in common areas, so you don't have to spend money on a local sim card while on holiday. It has numerous convenient features, such as safety deposit boxes, shops, a currency exchange, and a smoking area. The Amora Beach Resort features a garden, a spa, a hot tub, and an outdoor swimming pool among other great facilities. The Amora Beach Resort permits pets, so you don't have to worry about finding someone to look after your pet while you're away from home. Non-motorized water sports are available in the area, allowing you to enjoy the sport whether you're a novice or all-star. With guided tours available, the resort is a great spot to stay to learn about the area. Check-in is offered from 02:00 PM and check-out is until 12:00 PM. The front desk is open around the clock, so there is always someone around to answer any questions that you have. Phuket Bus Terminal 2 is 14.0 km away. The nearest airports are Phuket International Airport (HKT) and Krabi International Airport (KBV), which are situated 13 km and 76.5 km away. The Amora Beach Resort provides an assortment of transport options, such as airport transfers, shuttle services, bicycle rentals, car rentals, and taxi services, so you can get that much closer to all the must-see destinations around Phuket. 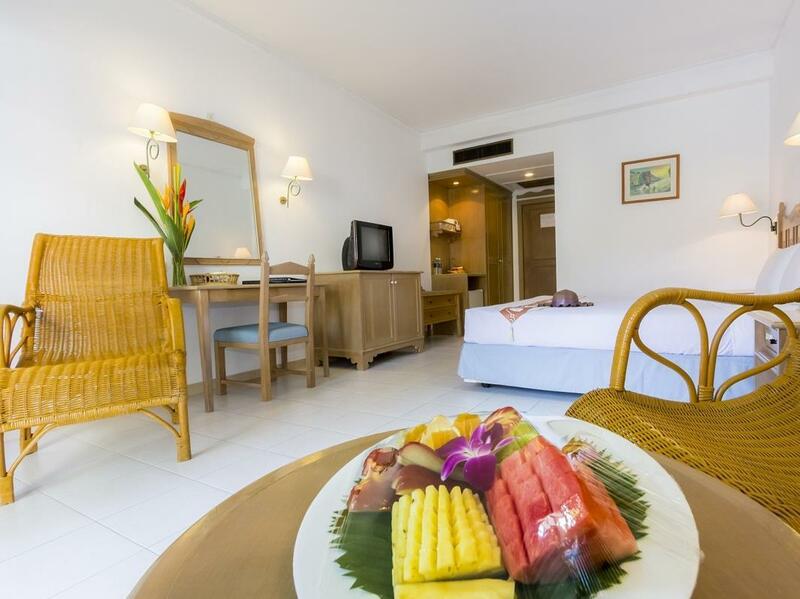 "A nice resort by the beach with big swimming pool and by the..."
Value for money an excellent hotel, beautifully situated close to the beach with very pleasant and helpful receptionists and staff who seemed happy in their work. If there is a complaint it is that the food in the beach bar is limited and that white wine of choice is seldom available. There could also be more beds around the swimming pool and beach as, unless you get there early, no beds are available. But perhaps that's because were staying over the busy New Year. a nice resort by the beach with big swimming pool and by the bangtao beach. A bit away from popular spots in Phuket. Problem with public transportation if traveling alone. 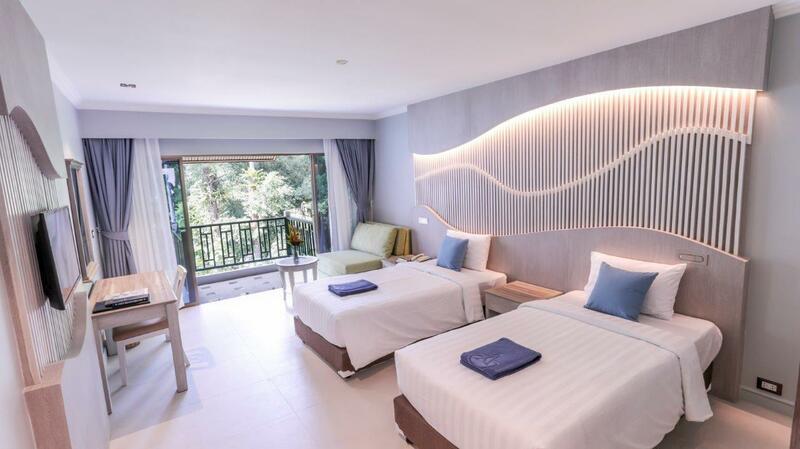 Groups will enjoy the stay and can travel to other parts of phuket. Located right on the beach with beautiful greens all around the property. The seafood restaurants on the beach were convenient. A bout 1km to start point of Laguna Phuket Marathon but free shuttle bus provided during race day. Very quite private beach. Able to enjoy suntanning. This hotel is big with plenty of area but a bit far from the beach with a lot of walking between pools and beach. Bang Tao is an excellent beach but is becoming busy in high season. Swimming pools are good and the hotel seems to cater for children and families rather than couples. Just needed a night's sleep with mid-day check-in and early am check-out for a triathlon event. I didn't get to use any of the facilities nor the pool but it seemed to be right in front of the beach which would be nice. The pool is open late and the night I was there had an in-house band. It seemed to have a pool large enough for families to enjoy. Staff is not really flexible on late check-out and they tried to charge me extra since I had a race to do, in which I wouldn't be back until 1-2p. You would either have to pay overage, check out early, or just stay another night. The positive is they have a luggage storage room and shower room for guests to use if you have a later flight. Wifi was not working for me. The buffet foods are always infested with flying birds and big flies. The foods are uncovered and by the time we want to eat food are cold! There are no options for beverages! Coffee and tea are prepared in a big jug! They taste so bad! The bread seection are cold, hard and stale! The marmalades and jams are in these big containers that are always infested with flies. The staff don't even bothere to scare the birds! Soem of the birds poop on the food container. It is extremely disgusting. The daily cleaning is a pain! On many occasions the cleaning staff have to be reminded many times and our room was often clean so late. We even have to ring reception so many times and nothing was ever done at all! The towels in our room were rarely changed and we were at the hotel for 8 nights,so imagine the nightmare we had to go through! I will not recommend this place. We enjoyed our stayed , we were provided room with balcony at the lower floor and closed by to the lobby. Amora also provide beach chair at the beach for hotel guest. Only that the pool was under maintenance during our stay. Attentive staff and we would stay here again. 1. great beach, long white sandy beach. 2. good privacy, the beach is not crowded. 3. the hotel has 2 swimming pools, very clean. we were here before, and this time we stayed here for 2 nights. we prefer hotels with long, clean and sandy beach, not crowded as we prefer privacy, that is why we were here again. we spent most of our time at the beach and pools under the shades of trees, walked along the great beach during morning and evening, enjoyed the wave and breeze. well, i have started to miss all these... as we rented a car, finding food at the near by places was of no issue. within a few kilometers were restaurants (western and locals) and the prices were reasonable, great taste too. even if without transport, walking about 1 km from the hotel , at the main road, there is a small commercial area where convenient shops, mcdonald's, pizza are available. on monday, there is a evening market on the way fro hotel to main road. not a big one, but you can find food, fruits and some souveniers, much better value for money compared to other places like patong and shopping malls. noted that the stalls opened in the mid afternoon and started to close at about 8 pm. 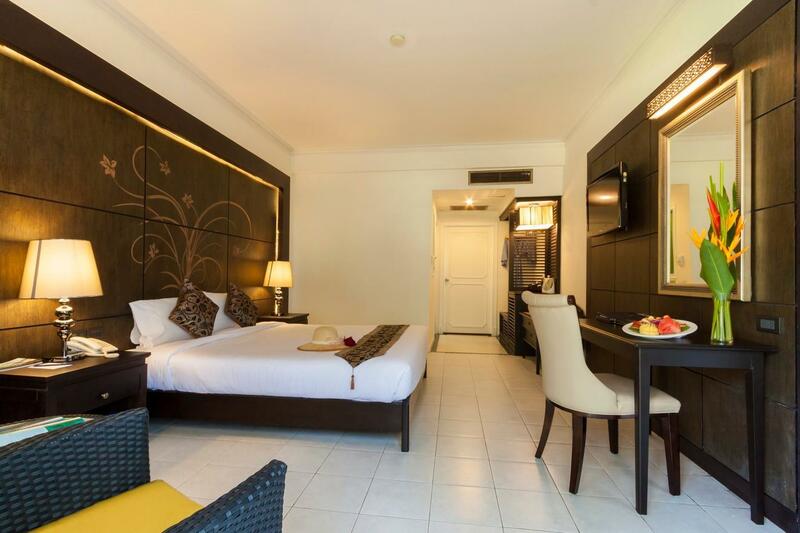 lastly, this hotel offered the best price compared to other near by hotels which have direct access to the beach. definately this hotel is at the top of my list for my next visit to phuket. Was not near any of the main attractions or malls. But its a good place for a quiet getaway . It is better you take superior room or over. the standard room condition was not so good. Anyway it has a good beach and very worth hotel price. Old and run down, only staff to speak to us were our house keeper and the pool boy, and front office if you walked by. Pools were clean and on beach was the only plus. Breakfast was ordinary, tried for an omelette but the cook was too busy talking outside. Cleanliness of the breakfast area was poor. Accommodation was right beside work going on. Huge place could have put us away from the work. Very disappointed in general, couldn't wait to leave, thank goodness for a nice beach chair further down the beach. I suppose I got what I paid for. They didn't pick me up at the airport and when I called they said, catch a taxi. At check in I asked if they had received my request for a pick up. Yes they had but no one did anything about it; no apology. We ate late in the restaurant and had to search for staff to serve us. The room was reasonably comfortable but tired and dated. Breakfast the next morning was a better experience and we followed that up with a dip in the pool. We only had the one night and maybe things may have changed if I'd stayed longer. Amora beach resort is a bit rundown, but easy destination. Unlike western brands it is more local. It has two pools, big enough for children to play games as well as for adults to swim laps. Unfortunately big loss for the hotel is the non existing gym facility. Gym is great add-on to waking up routines. the air-cond is leaking. cooling water leaked from its piping. and the service of her restaurant is pretty bad. the quilt is not dry. this is a very bad experience in the hotel i have ever went through.